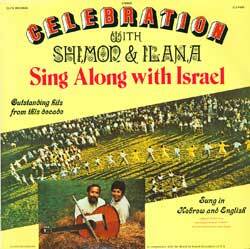 Notes The special selections contained in this sing-along album, represent a significant breakthrough in Israeli-American recordings. Not only are twelve outstanding “hits” of Israeli folk music brought together in one single album, but for the first time most of them are sung in English, as well. The adaptations are by Shimon Gewirtz, and those familiar with the Hebrew lyrics will receive an added dimension of pleasure and understanding.